The American automaker General Motors (GM) is soon to launch the Chevrolet Enjoy MUV that will be a rival of the Maruti Ertiga and the upcoming Nissan Evalia. As per the latest update, the car maker has started production on a trial basis at the Halol plant. As per an insider’s report, the car maker is also in the process of testing the Enjoy MUV. Notably, the Enjoy MUV is the car that Chevrolet expects to position below the Chevrolet Tavera and wants it to give a tough time to the most popular MUV Ertiga. Basically a seven seater, the Enjoy ensures that the occupants have lots of space inside. The Chevrolet MUV will also be a close rival of the recently unveiled Nissan Evalia. 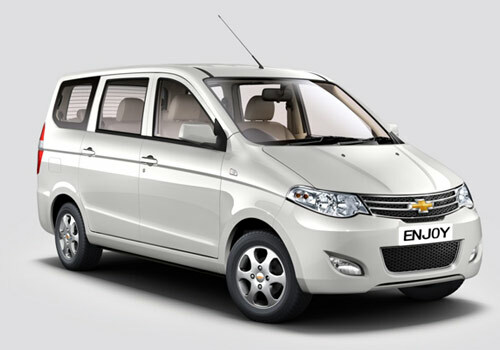 The Chevrolet Enjoy price in India is expected to be around Rs 6 lakh and it will be offered in diesel and petrol options. The test production at the Halol is a straight indication that the company is hurrying up things so that the Enjoy can be launched as soon as possible. There are reports that confirm that GM is producing around 60 cars a month since past month on a trial basis and it will soon make it over 1000 soon so as to prepare a log that will ensure that car buyers will get instant delivery on the Enjoy launch. Now it is to be seen which of the two MUVs get launched in India first the Enjoy or the Evalia. Meanwhile, the Ertiga MUV is enjoying the honeymoon phase with lots and lots of booking and the delivery period has risen to over six months in some regions. In order to ensure that Enjoy and Tavera do not spoil each other’s market, the car maker must have decided a price gap between the two Chevrolet MUVs and as per insiders reports, the difference will be as high as Rs 1 lakh between the entry level variants of both the Tavera and the Enjoy. 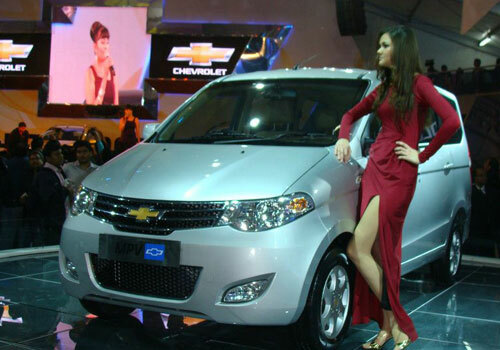 Hopefully, Chevrolet Enjoy would turn out be an ideal family MPV for me. The only concern for me would be the price tag. Enjoy is very spacious MPV. You can say it is a big family car. Chevrolet is very spacious. it is a big family car.